Academic Director, South African Institute for Advanced Constitutional, Public, Human Rights and International Law, holds degrees in philosophy - Wesleyan (BA)(Hons), Columbia (MA) - and law - Columbia (JD), Pretoria (LLD). Stu is the creator, the editor-in-chief and primary author of the 5 volume treatise, Constitutional Law of South Africa (2nd Edition, 2008, Revised 2013) and the founding/managing editor of the Constitutional Court Review. He is the author of two monographs: The Selfless Constitution: Experimentalism and Flourishing as Foundations of South Africa's Basic Law (2013); and The Constitution in the Classroom: Law and Education in South Africa, 1994 - 2008(2009) and co-author/co-editor of several collections: Constitutional Conversations (2008); The Business of Sustainable Development in Africa (2009); Is This Seat Taken? 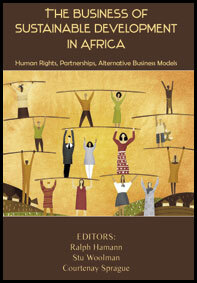 (2012); and The Dignity Jurisprudence of the Constitutional Court of South Africa (2013). In over 100 journal articles and book chapters, Professor Woolman's publications traverse such varied subject matter as institutional constitutional law, bill of rights analysis, jurisprudence, applied analytic and empirical philosophy, education policy, HIV/AIDs law, consciousness studies, social capital theory, patent thickets, development economics, psychoanalytic theory, international human rights codes, sexual slavery, forced labour, refugee and immigration law, corporate social responsibility and alternative business models. The quality and the importance of his research has previously received recognition by the University of the Witwatersrand (Vice-Chancellor's (Sellschop) Award for Best Researcher under 40, 1996), the University of Pretoria (Extraordinary University Researcher, 2007) and the University of South Africa (Best Book of 2009). In addition to his private commercial practice, Stu has worked for the United Nations Human Rights Committee, the Goldstone Commission of Inquiry into Public Violence and Intimidation, the Centre for Human Rights and Morningside Heights Family Legal Services. He has taught at the University of Pretoria Faculty of Law, the University of the Witwatersrand School of Law and Columbia Law School. (With Courtenay Sprague) This article describes the socio-economic framework necessary to create a sustainable supply of ARTs necessary for a free National Anti-Retroviral Treatment Programme. It suggests a way of addressing the pandemic that is not entirely contingent upon extant government policy or the execution of that policy. The fieldwork for this article led to four subsequent empirically grounded pieces on related subject matter and provides the basis for a potential monograph: Women, Development and HIV/AIDS. On occasion, it's more important to be interesting than entirely right. This article caught fire amongst academics, jurists and students alike. It channels shared concerns amongst a close community of court-watchers at specific moment in time about a brace of cases. The piece drew fire from Frank Michelman in the lead essay of the 2008 Constitutional Court Review. Professor Michelman's riposte led to a subsequent colloquy in South African Public Law (2010) and the collection Is This Seat Taken? (2012). That colloquy, and my concessions, narrowed the critical bite of difference between us. However, the original piece still taps a concern amongst academics and judges about the thinness of 'some' Constitutional Court judgments: a thinness that may leave the law too uncertain for all of us who must follow its dictates. (First Author, with Eliot Fishman & Michael Fisher) This article constitutes my initial foray into 'patent thickets' - a legal subset of anti-commons theory. The empirical database upon which we drew enabled us to assess the degree to which new biopharmaceutical technologies - subject to 0 to 4 licensing agreements - are likely to become downstream, commercially viable products. More importantly, the work's theoretical framework will enable me to compare the strength of patent law regimes in different jurisdictions - ie, South Africa and France -- and determine the extent to which these regimes enhance or diminish innovation in complex biopharmaceutical technologies. Creator, editor-in-chief and primary author of the most widely cited work on the subject by the courts and the academy, domestically and internationally. This five volume, 77 chapter, 5500 page treatise is available on and through Amazon.com, Westlaw International, and Juta Law. This monograph first challenges readers to do something difficult indeed: forego the metaphysics and the politics of 'free will'. After weaving together recent revelations in neuroscience, empirical philosophy, behavioural psychology, social capital theory and development economics, the book contends that only a politics that promotes experiments in living and the enhancement of individual capabilities is likely to produce the egalitarian pluralist order to which our Constitution aspires. By refracting our lawmakers' policies and our courts' decisions through the linked lens of experimentalism and flourishing, the book shows readers just how far we South Africans have come, and how far we still have to go. Available at Amazon.com and Juta Law. This monograph looks at six discrete subjects - school choice, school fees, the right to an adequate education, single medium public schools, school governing bodies, and independent schools - and attempts to show how a multidisciplinary approach to the subject matter takes us beyond arid, formalistic debates and provides a window on to how our system of education can negotiate the competing egalitarian, utilitarian, democratic and communitarian commitments manisest in our Constitution and other superordinate legislation. Available at Amazon.com and Pretoria University Law Press. Winner of the 2010 Hindiggh-Currie Award for Best Book, this collection, underwritten by the United Nations Development Programme, illustrates how the UN Global Compact and the UN Millennium Goals, can be partially met by (a) novel multi-stakeholder, for-profit business models and (b) voluntary adherence to codes that promote human rights. The critical essays and the case studies provide some evidence that these polycentric arrangements and public commitments can change the way firms operate and extend the range of public goods that they provide. Available at Amazon.com and United Nations University Press. These 8 spirited colloquies canvass issues often left unaddressed by legal scholars: animal rights, the relationship between theory and practice, the compatibility of western and African ethics, the extent to which sacred laws ought to be reshaped in the domain of the profane, the politics of patriotism and nationalism, and the degree to which we must credit the utterances of others as both meaningful and true. 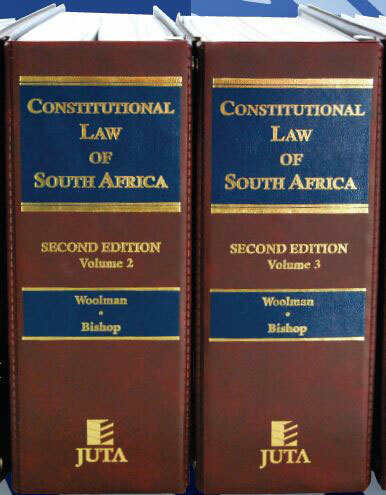 Available at Amazon.com and Pretoria University Law Press.